The major reason for setting a goal is for what it makes of you to accomplish it. What it makes of you will always be the far-greater value than what you get. 1. Some coaches talk about “family,” but at Florida the families and children of all coaches and players are encouraged to attend Thursday’s “Family-Night Dinners” to hang out at their position coach’s home; parents of players also have direct access to Meyer and his staff at all times. 2. Wives and children of those assistant coaches are invited on the field after the game and are escorted to the locker room by their husbands/fathers. 3. Meyer required his coaches and their wives to “babysit” players and provide a family atmosphere for them as they are mentored through football, academics, and social responsibilities. 4. Through disciplinary action, players are given every opportunity to redeem themselves for mistakes made on and off the field. They are automatically suspended for major team or school violations—or eventually even terminated for breaking the law—but Meyer will continue to help them in their pursuit of their degree. These incidents are rarely, if ever, announces to the media. 5. Special teams players are treated “special” since Meyer, himself, is their hands-on coach. 6. Instead of constantly hammering on his players to get results on the field and in the classroom, he “bribes” them with the privileges of a “Champions Club,” almost like a frequent-flier program. 7. 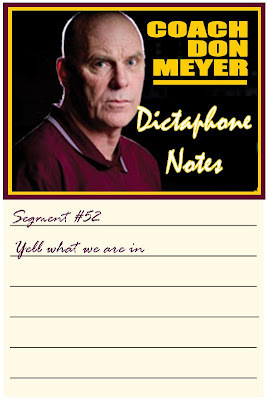 Meyer runs an offense that he mostly made up, borrowing parts form here or there, but producing a new edition or version every couple of years and adapting it to personnel. 8. In what might look reckless and almost crazy at the time—but is actually calculated and well thought out—Meyer has been known to call trick plays (he calls them “special plays”) in big games when the odds look heavily stacked against him. And they usually work. He doesn’t think of it as chance, but rather “calculated risks.” Meyer doesn’t believe in “fate” or “luck,” but thinks good execution in practice is the key. Leaders are committed to excellent performance of the business task at hand, and to continuous improvement. A leader is the person who chooses the area of excellence for his or her team. A leader knows that excellence is a journey, not a destination. Leaders are committed to being the best in everything they do. They constantly strive to be better in their key result areas. They compare themselves with people, organizations, and products or services that are better than they are, and they are continually improving. Leaders set standards of excellence for everyone who reports to them. They are ruthless about weeding out incompetence and poor performance. Leaders demand quality work and insist that people do their jobs well. The leader sets the standard of excellence. No one, or no part of the organization, can be any better than the standard that the leader represents and enforces. For this reason, leaders are committed to personal excellence in everything they do. Leaders are learners, continually striving to be better in their work and personal lives. They read, take additional courses and seminars, and listen to audio programs in their cars. They attend conventions and association meetings, go to the important sessions, and take good notes. They are committed to learning and growing in every area where they feel they can make an even more valuable contribution to their work. People are most inspired when they feel they are working for an organization in which excellence is expected. The very best way to motivate and inspire others is for you to announce your commitment to being the best in your field or industry. Then, continually benchmark your performance and the performance of your organization against the very "best in class" in your business. Leaders identify their core competencies, the vital tasks they do that are responsible for them being in business. They continually look for ways to upgrade these core competencies to assure that they maintain a competitive edge in the marketplace. Leaders think about the future and identify the core competencies that will be required for success in the years ahead. They then develop plans to acquire those core competencies well before they will be needed to compete effectively in the marketplace of tomorrow. Identify your personal core competencies. What are the essential skills of your job, the abilities that make you valuable, if not indispensable? What core competencies do you need to acquire if you want to be the best in your field in the years ahead? Make a plan today to develop the key skills and core competencies you will need tomorrow. Heard from Coach Eric Musselman that Coach Erik Spoelstra presented players with a vocabulary calendar and the book, The Energy Bus: 10 Rules to Fuel Your Life, Work and Team with Positive Energy. Spoelstra said he chose the book, authored by Jon Gordon, because the team could learn from the motivation principles. Needless to say, I'll be purchasing this book in the near future. Here are Gordon's 10 Rules to Fuel Your Life, Work, and Team with Positive Energy. 1. You’re the Driver of the Bus. 6. Post a Sign that says “No Energy Vampires Allowed” on your Bus. 10.Have Fun and Enjoy the Ride. 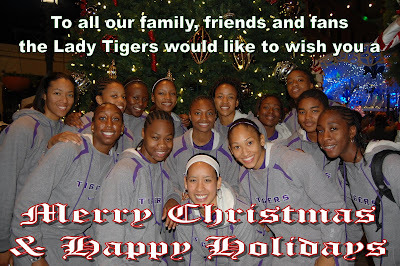 While working for Coach Dale Brown on the LSU staff, he would send out the following to coaches and friends of our program at Christmas. It is written by Roy Exum. Obviously the mention of Christmas makes it seasonal, but the message speaks to the art of teaching and why we should be coaching. May all of those who take the time to visit our site have a blessed holiday! 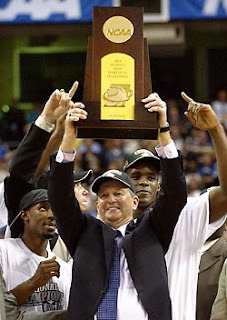 Never be held hostage: when you become a head coach, you want to be successful, don’t play a guy who will not do the things you preach and believe in as a coach. 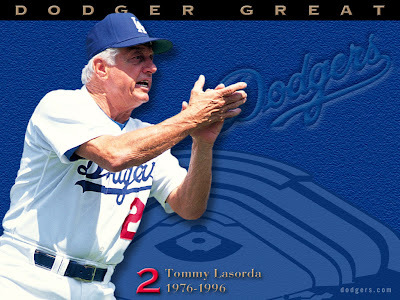 Sit down any player who has his own agenda and does not play with the team. 1. As a young head coach, hire an older, former head coach who knows a lot of the issues. 2. To African-American assistant coaches: don’t simply be a recruiter, don’t let a coach not let you fulfill the full duties of coaching. 3. 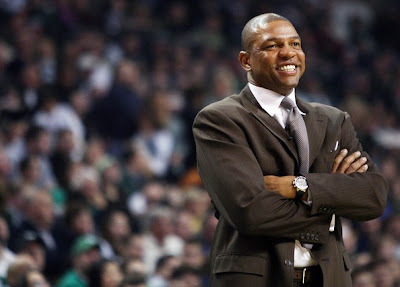 Players will play their hardest for a coach who develops the best player-coach relationships. 4. Head coaches should show up to practice at least half an hour earlier and just mess around with a few players to get to know them better. Ask them about their life and make them feel comfortable. 5. If you can’t go to practice every day and enjoy seeing your team and have fun coaching, then you should not be coaching. Enjoy your players. 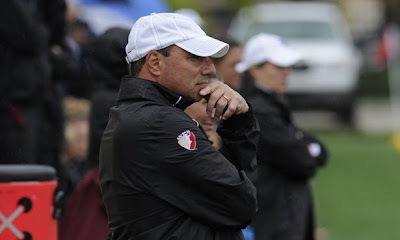 There is one constant in the coaching profession -- solving problems. Doesn't matter what level you coach on...doesn't matter if you have a veteran team or a young team...doesn't matter if you have administrative support or not...are success is going to come about because as coaches we can handle problems/crisis. 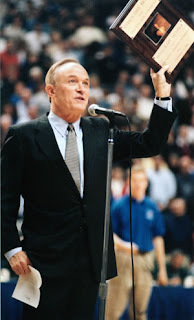 Working for Coach Dale Brown was a wonderful experience for me in this regard. The man literally got excited during crisis -- he would say "The greatest of problems is the greatest of opportunities." 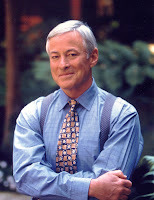 Here is a really good look at how to handle crisis from Brian Tracy. In a fast-changing, turbulent, highly competitive business environment, you will have a crisis of some kind every two or three months. You also could have a financial crisis, a family crisis, a personal crisis, or a health crisis with the same frequency. When the crisis occurs, there are four things you should do immediately. Practice damage control. Put every possible limitation on losses. Preserve cash at all costs. Get the facts. Speak to the key people and find out exactly what you are dealing with. Discipline yourself to think only in terms of solutions, about what you can do immediately to minimize the damages and fix the problem. Think in terms of your next step. Often any decision is better than no decision. One of the key strategies for business and personal success is "crisis anticipation." This strategy is practiced by top people in every field-executives, managers, entrepreneurs, and leaders, especially military leaders. You practice crisis anticipation by looking into the future three, six, nine, and twelve months ahead and asking, "What could happen to disrupt my business or personal life?" You need to have a contingency plan for possible emergencies and crises. What steps would you take if something went seriously wrong? What would you do first? What would you do second? How would you react? Develop a scenario—a storyline and a plan—describing how you would handle a negative situation, if it occurred. A crisis, by definition, is a once-only, unexpected negative event. If there is a recurring crisis in your company or your life, one that repeats itself regularly, especially cash crises, then you are dealing with a deeper problem, usually incompetent or poor organization. To ensure that the crisis does not repeat itself, after you have resolved that crisis for the first time, do a thorough debriefing on the problem. What exactly happened? How did it happen? What did we learn? What could we do to make sure it doesn't happen again? 1. Identify the three worst things that could happen in your business in the next year. What could you do today to minimize the damage from these crises? 2. Identify the three worst things that could happen in your personal and family life, and then take steps to make sure they don't happen. Be willing to say to yourself, “I’m on the right road. I’m doing OK. I’m succeeding.” We too frequently become adept at pointing out our flaws and identifying failures. Become equally adept at citing your achievements. Identify things you are doing now that you weren’t doing one month ago… six months ago… a year ago. What habits have changed? Chart your progress. Doing well once or twice is relatively easy. Continuously moving ahead is tough, in part, because we so easily revert to old habits and former lifestyles. Over the long run, you need to give yourself regular feedback to monitor your performance and reinforce yourself positively. Don’t wait for an award ceremony, promotion, friend or mentor to show appreciation for your work. Take pride in your own efforts on a daily basis. Keep the end result in sight. Always see the big picture of the ultimate goal you’re working for and the benefits that come with it. During World War II, parachutes were constructed by the thousands. From the workers’ point of view, the job was tedious and repetitive. (Like making “cold calls” on the phone or in person.) It involved crouching over a sewing machine eight to ten hours a day, stitching endless lengths of colorless fabric. The result was a seamless heap of cloth. But every morning the workers were reminded that each stitch was part of a life-saving operation. As they sewed, they were asked to think that this might be the parachute used by their husband, brother or son. Although the work was hard and the hours long, the women and men on the assembly line understood their contribution to the larger picture. The same should be true with your work. Each thing you do benefits the health and well-being of adults and children throughout the world, not just generally, but specifically. These are the visions that drive us through the tedious details to reach the top. Set up a dynamic daily routine. Getting into a positive routine or groove, instead of a negative rut, will help you become more effective. Why is the subway the most energy-efficient means of transportation? Because it runs on a track. Think of the order in your day, instead of the routine. Order is not sameness, neatness or everything exactly in its place. Order is not taking on more than you can manage, without still being able to do what you really choose. Order is the opposite of complication; it’s simplification. Order is not wasting a lot of time trying to find things. Order is avoiding a lot of recriminations because you didn’t do something you promised. Order is setting an effective agenda with others, so neither of you is disappointed. Order is doing in a day what you set out to do. Order frees you up. Get into the swing of a healthy, daily routine and discover how much more control you’ll gain in your life. 2. Coaching isn’t about X’s and O’s, it’s about managing diversity and adversity. 3. The better the players are, the more coachable they become. 4. You’re only as good as your best players. 5. Your best player has to be your best listener. He has to lead by listening. 6. Everyone wants to be coached, you just have to find the right way to reach them. 7. You must be honest with your players all the time. 8. You can reach any player if they believe your only intent is winning. 9. 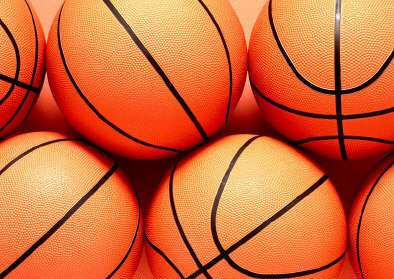 If you have a chemistry guy on your basketball team, do not let that guy out of the building. 1. Watch the locker room closely. 2. Move seats around and put guys together/keep them apart. 3. 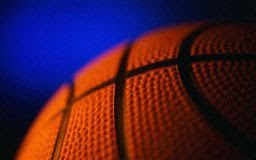 If a player has an event, every player and coach must go. 4. Sometimes you have to force guys to hang out with their teammates. Another phrase I often write up on the board is Lose yourself in the game. Sometimes kids can choke on a big stage. If you lose yourself in playing the game, you don’t worry about the result. Right now, Brown has the always lowly Charlotte Bobcats playing defense like the All-Star filled squads that won the last two NBA titles. And although their 10-14 record is similar to last year’s 35-47, Michael Jordan’s team is on pace to secure their first-ever playoff berth. Examining the Four Factors, we can start to see how this squad is getting it done. The Bobcats have held opponents to a .486 eFG%, which is better than the league average of .497 and ranks 11th in the NBA. Both the 44% FG% and 33% 3FG% surrendered by Charlotte are low, so they’re making it difficult for teams to score both inside and outside. Of particular note is that Bobcat opponents are forced to shoot 26% of their shots from behind the arc, which is considerably higher than the league average of 22%, so they are keeping teams from getting easy looks at the basket. As good as Charlotte is at forcing bad shots, they’re even better at forcing bad decisions before the shot. 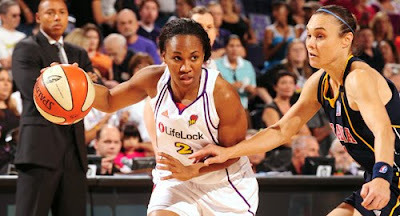 Their opponents turn it over on 15.8% of possessions, the second-best mark in the league which averages 13.8%. It’s hard to score against a team when they’re busy taking the ball out of your hands. Most teams that do well clearing the glass after an opponent’s miss have a dominant big man or frontcourt, teams like the Magic, the Cavaliers, and the Spurs. Guess what, Charlotte is right in the middle of these three at the top of the league for defensive rebounding. Whereas the average missed shot is boarded by the defense 73% of the time, Charlotte gets their hands on 76% of them. A lot of this obviously has to do with leaper extraordinaire Gerald Wallace and his 12 RPG. Make it a perfect four for four. Charlotte is better than the league average at keeping opposing players off the free throw line, as well. The Bobcats give up .210 FT/FGA, well below the .231 median mark. This means their defense isn’t just forcing other teams to stay out of the paint for shots and rebounds, they’re doing it without getting their paws all over them. By the way, only two teams other than the Bobcats are above average in all Four Factors on defense. Think you know who they are? They’re named at the end of this article. 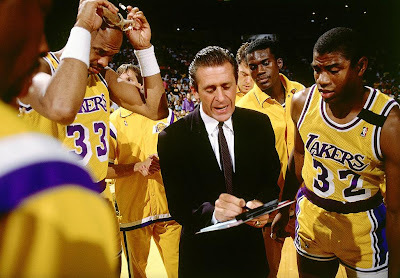 The 1984-85 season was the pilot for Pat Riley's "Career Best Effort" project. The Lakers coach recorded data from basic categories on the stat sheet, applied a plus or a minus to each column, and then divided the total by minutes played. He calculated a rating for each player and asked them to improve their output by at least 1 percent over the course of the season. If they succeeded, it become a CBE, or Career Best Effort. For Kareem and Magic, it was a significant challenge because they were already operating at such a high level. "But if the other 12 players did it, we felt we had a chance to win it all," Riley said. 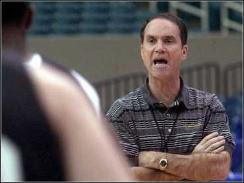 Riley's system was simplistic, but it was how the coach manipulated the data that made it so effective. He routinely recorded the performances of every NBA player and highlighted the success rates of Bird and Michael Jordan in particular. Solid, reliable players generally rated a scored in the 600s, while elite players scored at least 800. Magic who submitted 138 triple-doubles in his career, often scored 1,000. Riley trumpeted the top performers in the league in bold lettering on the blackboard each week and measured them against the corresponding players on his own team. Some players ignored Riley's transparent motivational ploy, but not Magic. He became preoccupied with generating the highest score -- not just on the Lakers but in the NBA. 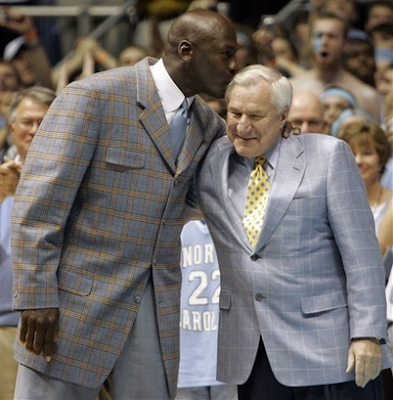 If anything, some thought, Dean Smith was a little harder on Michael Jordan every day in practice then he was on other young players, as if accepting his greater possibilities and his own limitless ambition and holding him to it, setting higher standards for him than for the others. 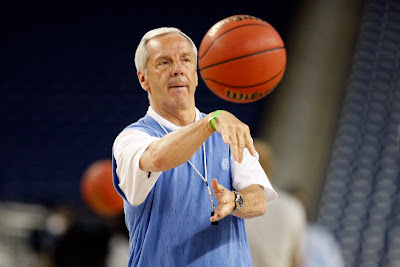 Roy Williams was also always pushing Jordan to work harder in practice. “I’m working as hard as everyone else,” Jordan answered. * The first thing a manager or coach needs to learn is how to listen. * Appropriate feedback is essential for peak performance. Communication is the art of making a difference. * The most important lesson a coach needs to learn about feedback: What you think you're saying may not always coincide with what your players are hearing. instance, Michelle Akers, one of the best players in the world, often asked me, "What do I have to do to get better?" * One thing to be aware of is that often the personality of the coach is picked up by the team. If you start complaining about every call, accusing the referee of screwing your team, that attitude is going to become part of the team ethos. * At halftime, zero in on one or two or three key points because that's the amount of information most players can process in such a short amount of time. * When you set a goal, write it down and then it's like making a promise to yourself. * Placing blame on others is easy. Taking responsibility for yourself is empowering. 1. Understand the difference between constructive and destructive criticism. To determine the motive behind the confrontation, ask yourself some questions. First, in what spirit is it given? Look beyond the words and determine the motives. Second, when is the criticism given? Times of confrontation must be shared privately, not within public view or hearing. Third, why is the criticism given? This question deals with the attitude of the critic. 2. Don’t take yourself too seriously. If you can develop the ability to laugh at yourself, you will be much more relaxed when given or giving criticism. 3. Look beyond the criticism and see the critic. When someone comes to me with news about another person, I am more interested in the person who said it than what was said. Keep in mind certain considerations regarding your critic: First, is it someone whose character you respect? Second, is this person frequently critical? Is criticism a pattern? 4. Watch your own attitude toward the critic. A negative attitude toward criticism can be more destructive than the criticism itself. 5. Realize that good people get criticized. Jesus, whose motives were pure and character was spotless, was called a glutton (Matt. 11:19), a drunkard (Luke 7:34), a Samaritan (John 8:48), and a friend of sinners (Matt. 11:19 and Mark 2:16). 6. Keep physically and spiritually in shape. Physical exhaustion has a tremendous effect on the way we act and react; it distorts the way we see and handle life. 7. Don’t just see the critic; see if there’s a crowd. I’m suggesting that you expand your vision; go beyond the critic and see if he has a cheering section. Consider the possibility that you are hearing the same criticism from several people. If this is the case, and the critics are reliable, you need to realize that you have a challenge to work on. If, on the other hand, you’re dealing with a pocket group of negative people, your challenge is to not be affected by them. 8. Wait for a time to prove them wrong. Time is your best ally; it allows you to prove yourself right. Often, as events unfold, the cause for criticism is eliminated and you will be vindicated. Abraham Lincoln, perhaps the most loved president of the United States, was also the most criticized president. Probably no politician in history had worse things said about him. Here’s how the Chicago Times in 1865 evaluated Lincoln’s Gettysburg Address the day after he delivered it: “The cheek of every American must tingle with shame as he reads the silly, flat, and dish-watery utterances of a man who has been pointed out to intelligent foreigners as President of the United States.” Time, of course, has proved this scathing criticism wrong. 9. Surround yourself with positive people. When you have optional time, spend it with people who will build you up. Enough quality time with positive people will minimize the effect of negative criticism. It will also discourage you from being critical. 10. Concentrate on your mission—change your mistakes. Most people do exactly the opposite—they change their mission and concentrate on their mistakes. If you run from your task each time you make a mistake, you will never accomplish anything. You will always be in a state of frustration and defeat. The only real mistakes in life are the mistakes from which we learn nothing. So instead of dwelling on them, count on making them, learning from them, and moving on you finish the job. Einstein once said that an ounce of loyalty is worth more than a pound of knowledge. I believe that. Give me loyal people and I’ll beat you. I think loyalty is very, very important in our lives. A guy asked me one time, what are the number one qualities that a manager or a leader should have? It was very difficult to put it down into a certain category. But I went to church and I heard the priest give a sermon. He talked about Solomon, who was the paragon of truth, and he was pleasing to the Lord. And the Lord said to Solomon, “I want to give you anything you want.” And Solomon said, “The greatest gift that you can give me, Lord, is an understanding heart.” And I think that’s what every manager or coach needs, and understanding heart, because when a player doesn’t do well, the manager or coach has got to understand how that player feels. That player probably feels worse than anybody, and that manager or coach has to understand that. When we lose, the most important things is that when I walk into the clubhouse the nest day, no matter how dejected or tired or depressed I might be, I have to put on a new face. I have to put on a winning face. I have to put on an enthusiastic face. I’ve got to put on a self-confident face, because if I walk into the clubhouse dejected, tired, and depressed, the attitude and the atmosphere of the clubhouse and the club is going to be that way. But if I go in with enthusiasm and self-confidence, all of those things are contagious, and I can help spread them. As I have already mentioned, our team is reading "Talent is Never Enough" by John Maxwell. It is an amazing book that is sectioned perfectly to help a player, a coach, a team (and just about anybody else) towards the goal of self-improvement. Chapter 5 is titles Preparation Positions Your Talent and it is right around the corner for our team to read. We assign a chapter and then give them a worksheet to ask them questions to provoke thought. Here are some very brief portions of the chapter. "I've found that every minute spend in preparation saves ten in execution." There's an old saying: "You can claim to be surprised once; after that, you're unprepared." Preparation doesn't begin with what you do. It begins with what you believe. If you believe that your success tomorrow depends on what you do today, then you will treat today differently. What you receive tomorrow depends on what you believe today. If you are preparing today, chances are, you will not repairing tomorrow. 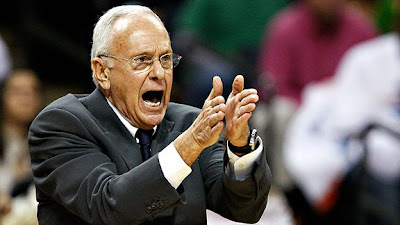 Former Boston Celtics coach Tom Heinsohn observed, "The sixth man has to be so stable a player that he can instantly pick up the tempo or reverse it. He has to be able to go in and have an immediate impact. The sixth man has to have the unique ability to be in a ball game while he is sitting on the bench." What makes the sixth man capable of that? Perspective. He has to have both a coach's mind-set as he watches the game from the bench and a player's ability once he steps into it. If he does, then he is prepared to impact the game. What value has preparation it if never leads to action? Very little. As William Danforth, former chancellor of Washington University in St. Louis noted, "No plan is worth the paper it is printed on unless it starts you going." We recently hired Craig Pintens to take over the LSU Athletic Marketing and Promotions Department. In a short time, Craig has done an incredible job for all our teams. He came here from Marquette and a couple of conversations soon lead to discussions of Al McGuire. A few days later Craig stopped by with a book that is full of thoughts and quotes from one of the most charismatic coaches in the history of sport. 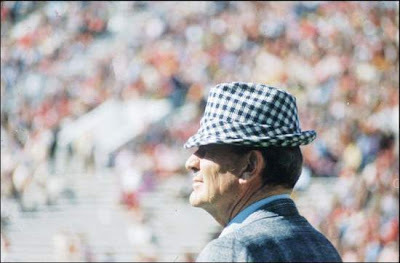 The book is amazing and here are just a few of the "wit and wisdom of Al McGuire." Motivational leadership is based on The Law of Indirect Effort. According to this law, most things in life are achieved more easily by indirect means than they are by direct means. You more easily become a leader to others by demonstrating that you have the qualities of leadership than you do by ordering others to follow your directions. Instead of trying to get people to emulate you, you concentrate on living a life that is so admirable that others want to be like you without your saying a word. Perhaps the most powerful motivational leader is the person who practices what is called "servant leadership." Confucius said, "He who would be master must be servant of all." The person who sees himself or herself as a servant to others and who does everything possible to help them perform at their best is practicing the highest form of servant leadership. Today's leaders are the ones who ask questions, listen carefully, plan diligently, and then build consensus among all those who are necessary for achieving the goals. The leader does not try to do it all alone. The leader gets things done by helping others do them. The following are important qualities of motivational leaders. These are qualities that you already have to a certain degree and that you can develop further to stand out from the people around you in a very short period of time. The first quality is vision. This is the only single quality that, more than anything separates leaders from followers. Leaders have vision. Followers do not. Leaders have the ability to stand back and see the big picture. Leaders have developed the ability to fix their eyes on the horizon and see greater possibilities. The best way for you to motivate others is to be motivated yourself. The fastest way to get others excited about a project is to get excited yourself. The way to get others committed to achieving a goal or a result is to be totally committed yourself. The way to build loyalty to your organization, and to other people, is to be an example of loyalty in everything you say and do. One requirement of leaders is the ability to choose an area of excellence. Just as a good general chooses the terrain on which to do battle, an excellent leader chooses the area in which he and others are going to do an outstanding job. The commitment to excellence is one of the most powerful of all motivators. All leaders who effect change in people and organizations are enthusiastic about achieving excellence in a particular area. Try a new attitude toward your employees; show up on Monday morning and be positive and cheerful. If you are motivational, your attitude will rub off on your employees and they will work more efficiently. People are insecure… give them confidence. People want to feel special… sincerely compliment them. People desire a better tomorrow… show them hope. People need to be understood… listen to them. People are selfish… speak to their needs first. People get emotionally low… encourage them. People want to be associated with success… help them win. Commend while other are criticizing. 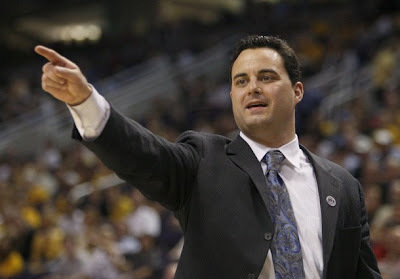 Sean Miller is a big proponent of the Packline defense beginning with his tenure at Xavier. Here are some key statistics he is looking for that he believes are indicators of good team defensive play. Any realistic assessment of priorities in any area of life must start with a realistic assessment of what a person must do. For you to be a good spouse or parent, what is required of you? To satisfy your employer, what must you do? (If you lead others, then the question should be, What must you personally do that cannot be delegated to anyone else?) When ordering priorities, always start with the requirement question and give it careful thought before moving on to the next question. As you progress in your career, you begin to discover that some activities yield a much higher return for the effort than others do. (Anyone who hasn’t discovered that probably isn’t progressing in his career!) The next place to focus your attention is on those high-return activities. If you do only what you must and what is effective, you will be highly productive but you may not be content. I think it’s also important to consider what gives you personal satisfaction. However, I find that some people want to start with the reward question and go no further than that. No one can be successful who doesn’t possess the discipline to take care of the first two areas before adding the third. The Law of Correspondence says that your outer life tends to be a mirror image of your inner life. Everywhere you look, there you are. Everywhere you look, you see yourself reflected back. You do not see the world as it is, but as you are—inside. If you want to change what is going on in the world around you—your relationships, results, and rewards—you have to change what in going on in the world inside you. Fortunately, this is the only part of your life over which you have complete control. The starting point of excelling in time management is desire. Almost everyone feels that their time management skills could be vastly better than they are. The key to motivation is "motive." For you to develop sufficient desire to develop Time Power, you must be intensely motivated by the benefits you feel you will enjoy. Your productivity can dramatically change if you add two extra hours to your day. Two extra hours per day, multiplies by five days per week, equals ten extra hours a week. Ten extra hours a week multiplied by fifty weeks a year would give you 500 extra productive hours each year. And 500 hours translates into more that twelve, forty-hour weeks, or the equivalent of three extra months of productive working time each year. By gaining two productive hours each day, you can transform your personal and working life. Your productivity, performance, and income will increase by at least 25 percent over the next year. Two more productive hours, out of the eight hours that you spend at work each day, is the equivalent of at least a 25 percent increase. 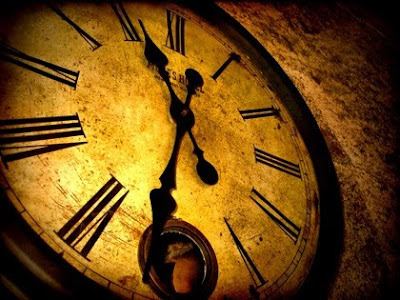 You will have more time for your family and your personal life as you get your time and your life under control. You will have more time for your friends, for relaxation, for personal and professional development, and for anything else you want to do. When you become a master of your own time, and recapture two hours per day, you can use that extra time to chase your dreams. After several years, I awakened to the thought that the only person who can change himself or herself is himself or herself. You can change yourself, but I cannot change you. You see, I am responsible to you but I am not responsible for you; and there is a world of difference between those two. I am responsible for teaching you good leadership. I am responsible for sharing things that can help add value to your life, but you are the only one who can take responsibility to change yourself, and that is what this whole article is about. Here are the key things that I can think of that are crucial for PG play (in no particular order). 2. Lead by Example – We all expect our PG’s to be leaders, so they must lead by example on and off the floor. They have to have leadership qualities to be able to run a team. One good “on-the court” example would be their defensive stance and on-ball pressure as the ball moves up the floor. If they are a ball-hawk and showing extreme pressure to the ball, there is a good chance the rest of the team will also buy in to being in a stance. 3. Have a good relationship with the coach - We all say that the PG must be an extension of the coaching staff on the court, so there must be a solid relationship between the coach and PG so they can always feel comfortable communicating with each other. 4. Not a “Shoot-first” player - They don’t necessarily need to always be a pass-first PG, especially in high school where the PG might also be the best scorer, but they can not be a player that typically will bring the ball up the floor looking to go one-on-one and creating shots just for themselves. The offense will become stagnant and other players will shut down, because they know their chances of being involved offensively are low. 5. Have a high IQ for the game / feel for the game – They have to understand special situations, the flow of the game, the time & score, when to attack, when to pull it out, etc. 6. Have a high conditioning threshold – if the PG isn’t in shape and is expected to play big minutes and minutes at the end of the game, they will break down mentally once their body breaks down, so it is huge for them to be in great shape. 7. Make the easy pass, and not always the “assist” pass – Sometimes PG’s make foolish passes because they know the ball will be in their hand much of the time. Have them keep it simple. The reason Steve Nash can make the passes he can make is because he works on it every day and he is the best in the world. There aren’t a lot of Steve Nashes out there, so use the KISS principle – “Keep It Simple, Stupid”. 8. Be able to knock down the open shot – I couldn’t shoot, and I played a lot of minutes, and it definitely hurt my team at times. The PG typically won’t get a ton of shots off of set plays or screens because he or she is setting up others, but the PG must be able to hit the open shot in transition, on post-feed kick-outs, etc. 9. Have “Gears” – I’m talking about a change of pace in their game. The toughest PG’s aren’t the ones who are extremely fast, but the ones that are always playing at different speeds. They have deception in their game. 10. 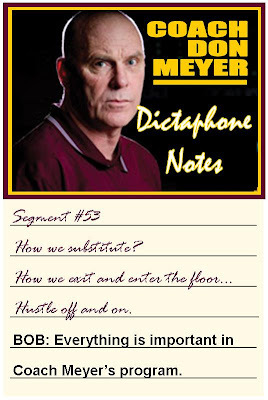 Have a “Motor” – summarizes a lot of the points already made, but the PG has to play extremely hard, and be eager to do all of the dirty jobs. The PG must be willing to guard the full length of the court, push the ball in transition, be vocal, and play with a tremendous amount of energy. 1. Stick to the performance rituals, both before and during competition. Load your players with performance rituals. It keeps their minds from wandering. 2. Your players need to set limits on themselves and other people on game days. It sounds simple, but athletes are fun to be around so there are distractions. Some kids need a lot of space before competing. Others like people around them. Athletes need to keep their eyes on the field. tennis players either look at the ground or the racket. 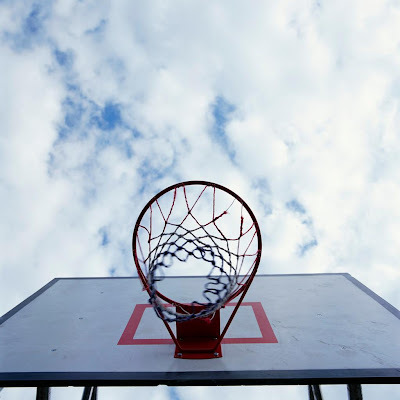 Basketball players need to keep their eyes on the court. If you have a player looking into the audience, that player is losing his focus. The mind follows the eyes. Nothing is going to blow up concentration more than losing emotional control. Just as the mind follows the yes, the emotions follow breathing. If someone is upset, their breathing is shallow. To regain emotional control, take slow, deep breaths, lower the breathing rate. That’s a good thing to teach someone who loses his temper. 5. Make use of visualization during competition. 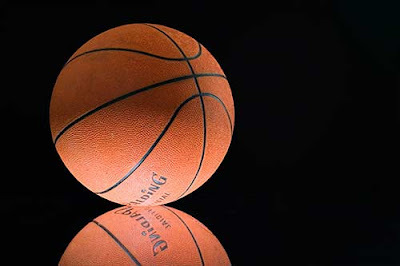 A fun question to ask your players at the beginning of the season, “What’s the most important play in basketball?” The most important play in basketball is the one you are doing. Our tendency as human beings is to not be in the present. We are either in the past of worrying about the future. And those projections into the future are always negative. The kid stands at the foul line and is thinking what will happen if I miss the shot? All these projections into the future are 90% negative and 90% untrue but it really affects performance. Emphasize to your kids, keep your minds in the present. The action is in the present. 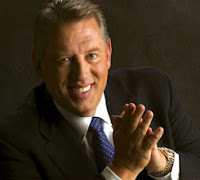 "It is with great sadness that we learned today of the passing of Jim Rohn. Jim has shared and taught success philosophies and principles for over 46 years. He has addressed more than 6 thousand audiences and over 5 million people worldwide and authored over 30 books, audio and video programs. Here are some quotes of his on labor and action which is the way he lived his life. "You must learn to translate wisdom and strong feelings into labor." "The miracle of the seed and the soil is not available by affirmation; it is only available by labor." "Make rest a necessity, not an objective. Only rest long enough to gather strength." "Without constant activity, the threats of life will soon overwhelm the values." "For every promise, there is a price to pay." 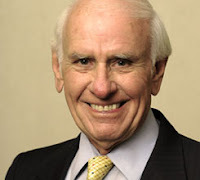 These quotes are by Jim Rohn, America's Foremost Business Philosopher. To subscribe to the Free Jim Rohn Weekly E-zine, go to www.jimrohn.com Excerpted from The Treasury of Quotes by Jim Rohn. Copyright © 1994-2008 Jim Rohn International. All rights reserved worldwide. 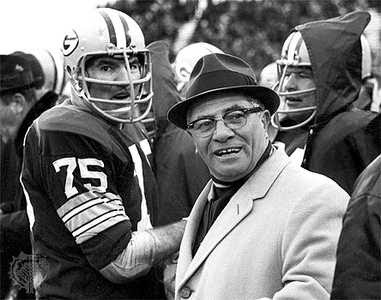 Classic Vince Lombardi with great teaning points on execution -- no matter what sport you teach, coach or play! Tell them what you expect of them. This tells them how they are to fit into the game plan so they know what they should try to do. Give them an opportunity to perform. This gives them a chance to be a part of the game plan, to carry out the vision. Let them know how they’re getting along. This lets them have an opportunity to learn, improve, and increase their contribution. Instruct and empower them when they need it. This gives them the means to learn, improve, and increase their contribution. Reward them according to their contribution. This gives them incentive for their effort. Steve Brennan on the "Effective Use of Time-outs: You have 4." 1. Don’t waste your time-out by yelling. If you call the time-out, the kids know something is wrong. 2. Start each one with a positive statement. Research shows that the first thing and the last thing that people say are the things that people remember the most. 3. Discuss no more than 3 items during any one time-out, and that may be too many. You must give the first 15 or 20 seconds to the kids anyway. Tell them this at the first of the year. They can get their water, towels, etc. 4. Develop a cue word to refocus attention. Mine was “Listen.” As soon as I said that, the focus of the attention was on me. 5. Confer with assistant coaches before talking with the team. This is big with me because when I was an assistant coach, I was not a part of time-outs. Even if you know exactly what you want to do, just from a psychological standpoint, you should do something with your assistant coaches. 6. Give them some recognition. Utilize them. 8. Run a set play after a time-out. Get your best player into the flow. Set up a play. 9. Don’t use the entire time-out if you don’t need it. 10. 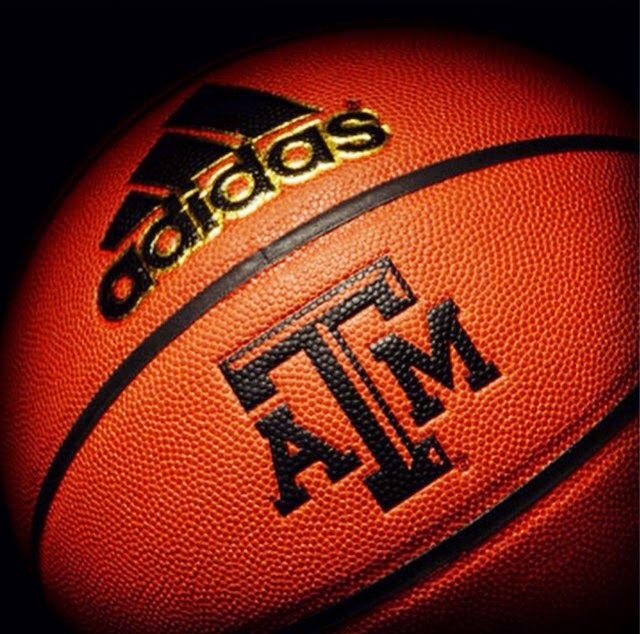 If the opponent calls the time-out, wait until the referee gets you from the huddle. 11. Delegate an assistant coach to keep track of time-outs. 12. Carry strategy on 3x5 cards. 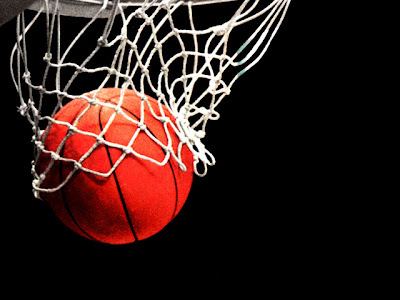 Put your out-of-bounds on cards.